Pfffff is precisely the sound of us repeatedly hitting snowdrifts on an ice road after 24 hours of high winds and over 20cm of snow. Of course there was no having to get out and push to free us from any snowdrifts. This is an aurora viewing experience we focus on - not job creation. It's when we talk about how Yellowknife sits directly underneath a resting auroral oval, and that combined with the usually stable weather and clear skies, makes us a really, really good choice to chase the aurora from. Usually. 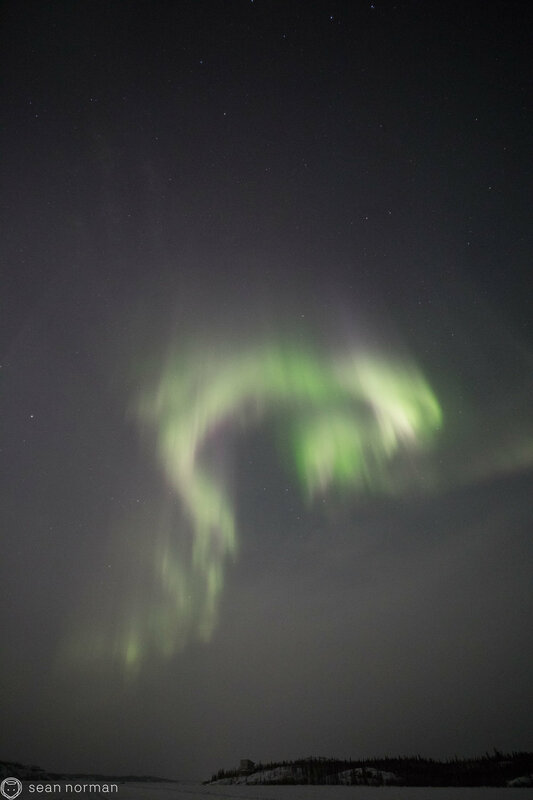 But even tonight, with still high winds and increasingly thinning cloud as the night went on, the aurora danced - did it ever - and the awful weather joke held less seriousness, in the end.